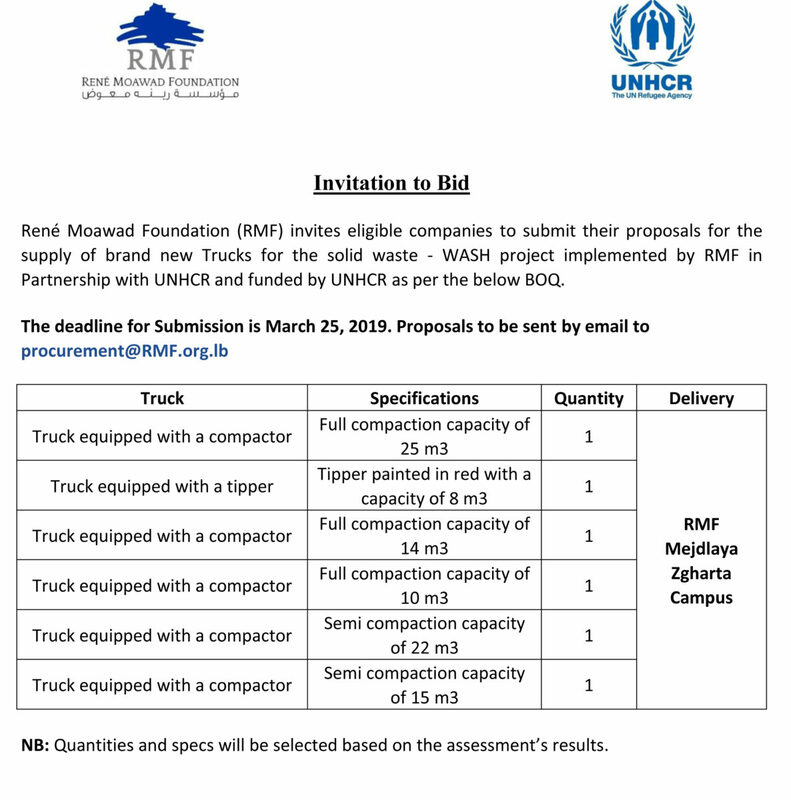 René Moawad Foundation (RMF) invites eligible companies to submit their proposals for the supply of brand new Trucks for the solid waste – WASH project ‎implemented by RMF in Partnership with UNHCR and funded by UNHCR as per the below BOQ picture. 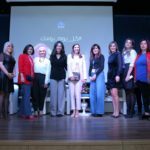 On the occasion of International Women’s Day, the René Moawad Foundation organized a panel entitled “Pioneer Women from Lebanon”, which focused on the role of women empowerment in Lebanese society. 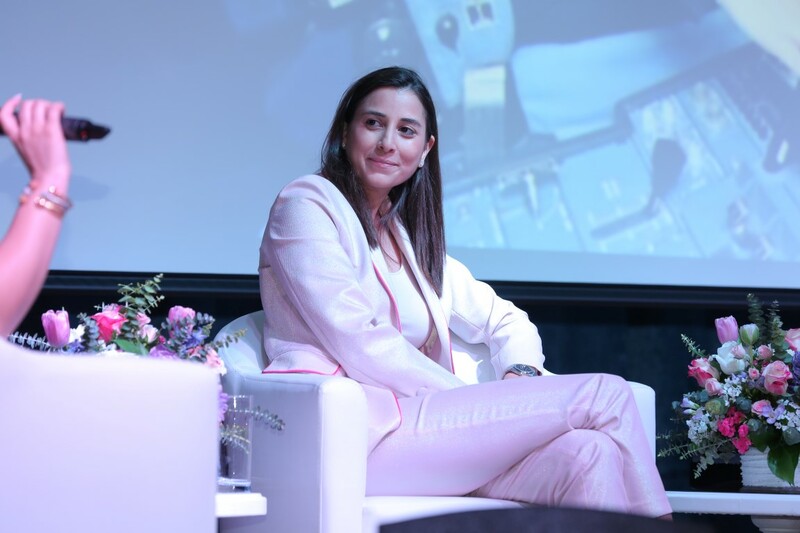 The panelists were Karma Ekmekji, advisor to Prime Minister Saad Hariri for International Affairs and Relations, Rola Hoteit, the first ever female pilot in Lebanon, and the journalist Jana al-Dhaibi. 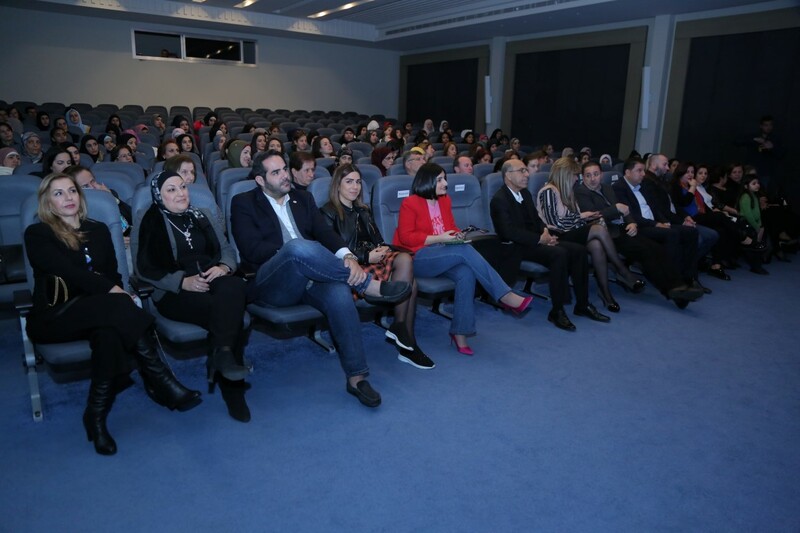 The panel, that was held at the Pierre Farshakh theatre in the municipal building in Zgharta, North Lebanon, was moderated by Dr. Josette Moawad, in the presence of the General Manager of Rene Moawad Foundation, Nabil Moawad, the Qaemaqam of Zgharta, Mrs. Iman Al-Rafi’i, among others. 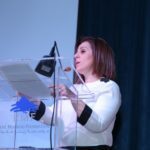 The ceremony started with a speech by the founder of RMF, former minister and MP, Nayla Moawad, which was given on her behalf by Dr. Hasna Moawad Tanios: “This year, we celebrate the International Women’s Day with a greater excitement as it coincides with the appointment of four women ministers in the current government. In the past parliamentary elections, there were 111 female candidates, while only 6 women had run for the elections in 1992. This is undoubtedly a significant achievement towards the active participation of women in the political life and in life in general, but we still have a long way to go and this requires great effort. 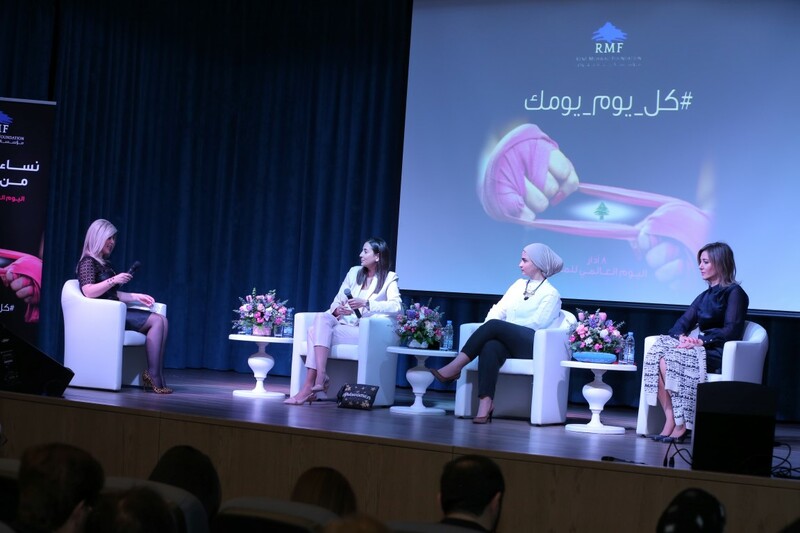 Women empowerment has always been at the heart of RMF’s projects, regardless of the sector they’re being implemented in: whether in agriculture, industry, local decentralization or in other fields. I believe that women now have enough confidence and strength to run the parliamentary elections. Women in all fields are becoming achievers at all levels. Today, I encourage women to make changes, no matter how simple, whether at home with their families, in their communities, at work, wherever they are. Every woman is an inspiration for other women in her surroundings, a living example that dreaming is possible, that there is hope, and that every day is women’s day, not just the 8th of March”. 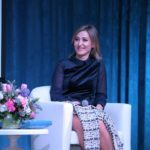 Christian Saba, an economic development expert at the René Moawad Foundation and a women’s rights activist, gave a talk about her experience working in this field between Australia, where she was born and raised, and Lebanon, her country, which she decided to return to hoping to make a change. 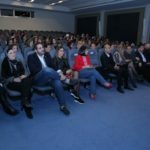 During her intervention, Karma Ekmekji focused on the role of women in making a change, and on the role of men in supporting women as their partners. According to Ekmekji, women are mistaken if they think they are capable of making a change without men’s support. 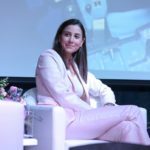 Captain Rola Hoteit considered that breaking the barriers by being a woman pilot would not have been fully realized if she had not shared this experience with other women, who now became pilot themselves. “During my first solo trip, I felt a certain dread, but as soon as I landed, I felt that the experience I had gained over the past years had replaced the feeling of dread”, said Mrs Hoteit. 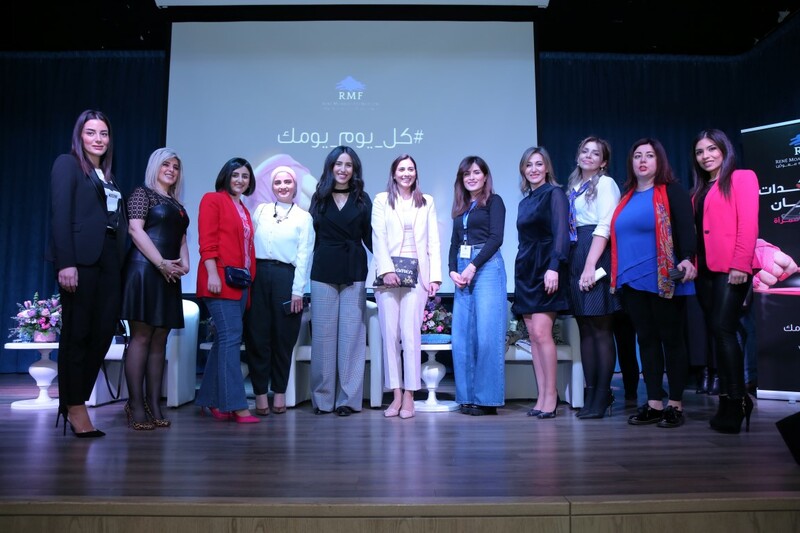 Jana Dhaibi chose to speak about her career in journalism and the role of the media in dealing with issues related to women’s rights, and dealing with women survivors of violence or victims. 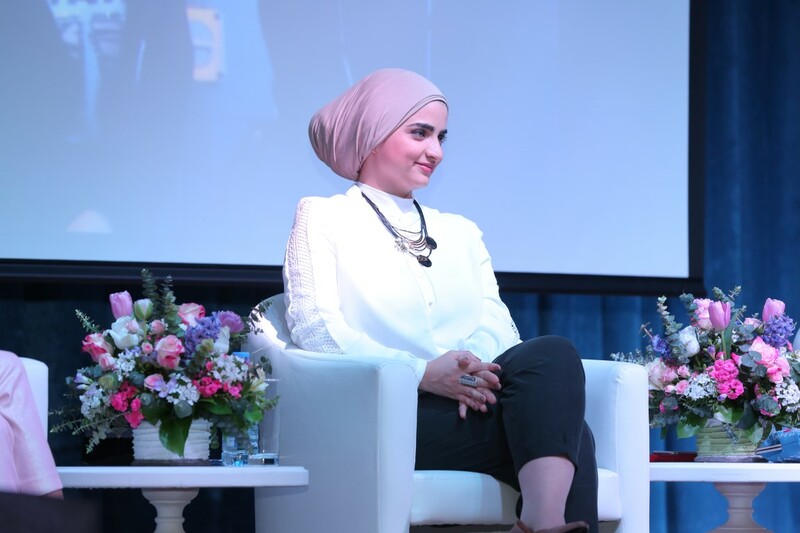 She also spoke about her personal experience as a single mother of a seven-year-old girl, and as a woman who got married at the age of 17, at an early age. 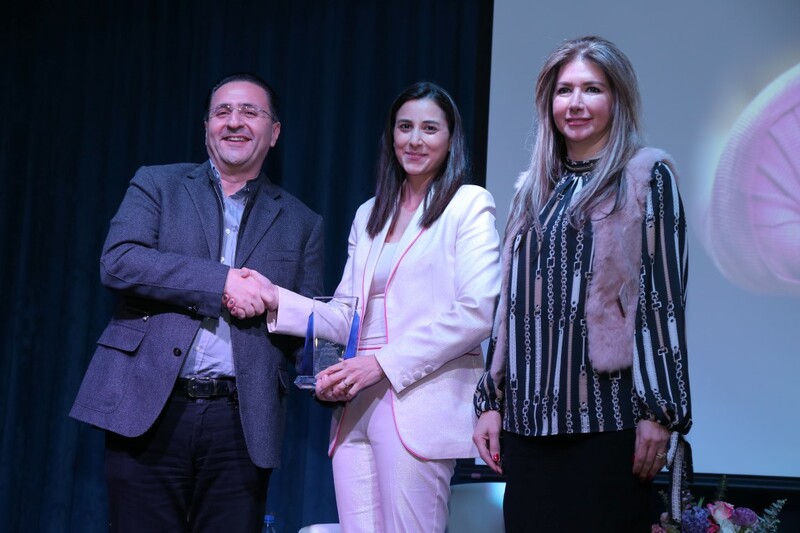 At the end, each of the three women received a token shield from the General Manager of RMF, Nabil Moawad and the Qaimqam of Zgharta, Iman Al-Rafi’i. The event was followed by a cocktail party. 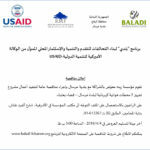 As part of the Baladi Program, RMF is calling for invitations to bid to install LED lights. 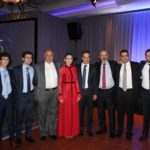 RMF and the municipality of Qousaya (Zahle) are calling for an invitation to bid to install and lighten a football stadium in the town with LED lights. 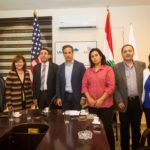 RMF and the municipalities of Fardis and Shwayya (Hasbaya) are calling for an invitation to bid to replace the existing street lights with LED lights in the mentioned towns. 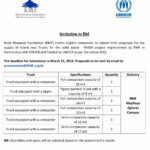 Interested applicants can obtain the files from RMF office in Ashrafieh (Phone: 01-613367). 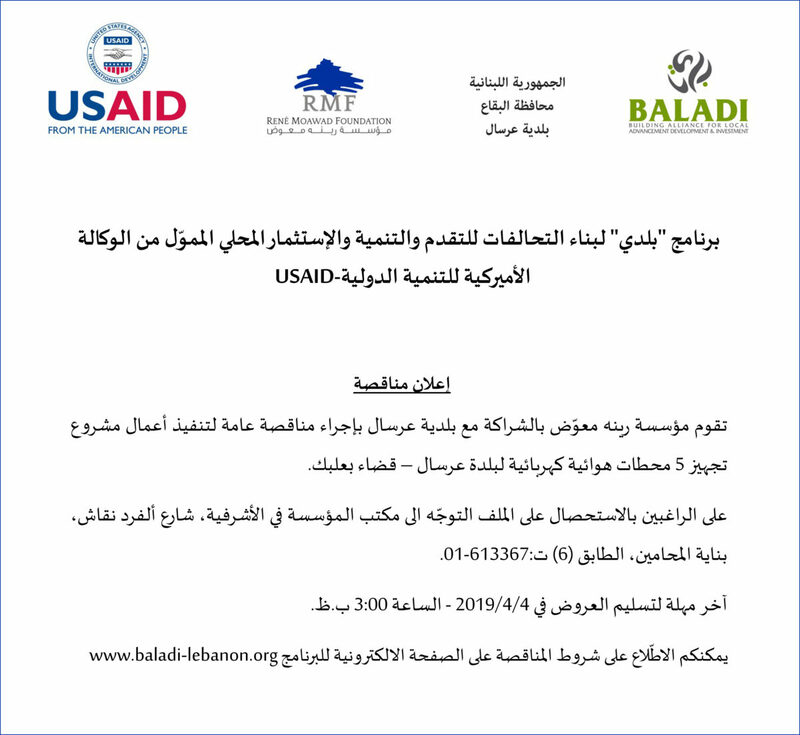 The deadline for Qousaya (Zahle) is 21/01/2019 – For the bidding conditions, kindly click here. 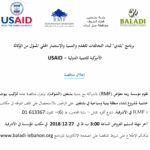 The deadline for Fardis and Shwayya (Hasbaya) is 24/01/2019 – For the bidding conditions, kindly click here. 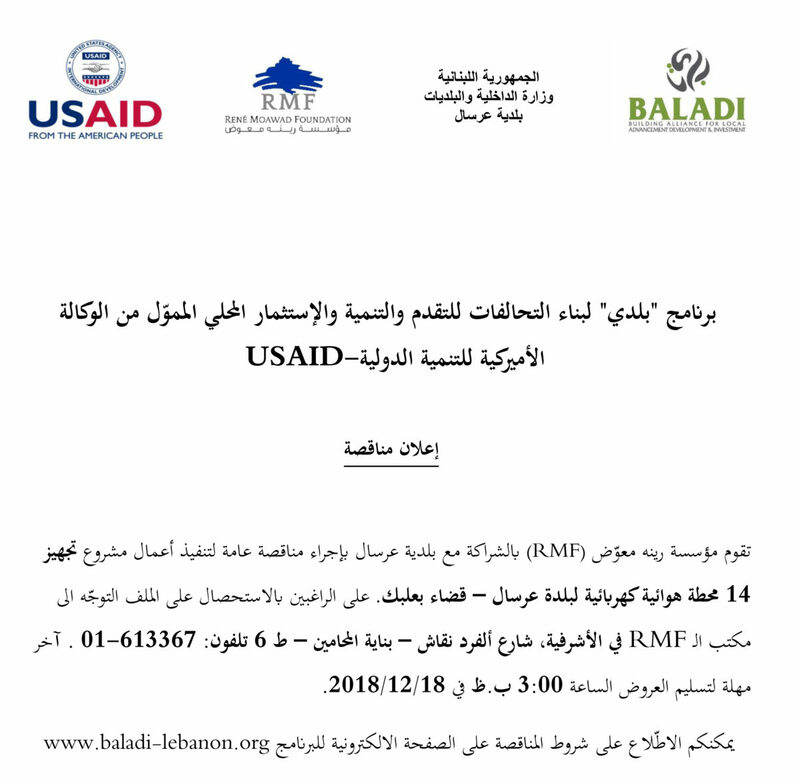 As part of the Baladi Program, RMF and the municipality of Talya (Bekaa district) are calling for an invitation to bid to install a new pump at the village water well within the support of USAID. 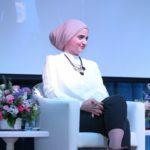 “يمكن منختلف بالشكل، بس خلينا نتّفق إنو المضمون ذاته… وأوقات أحسن”. هذه هي الرسالة التي أرادت مؤسسة رينيه معوّض إطلاقها في اليوم العالمي للأشخاص ذوي الاحتياجات الخاصة، والذي يصادف في الثالث من كانون الأول. تأتي هذه الحملة الداعمة لتحسين سبل عيش الأشخاص ذوي الاحتياجات الخاصة في صلب رؤية مؤسسة رينيه معوّض وضمن إطار سعيها لتمكين الإنسان في لبنان فكريًا وماديًا على حد سواء، ولضمان أيضًأ كرامته وحقوقه الأساسية من خلال التعليم والصحة والتنمية الاجتماعية. ومن أجل ذلك، أطلقت المؤسسة بالتعاون مع جمعية العناية الإلهية وبتمويل من منظمة الأمم المتحدة للطفولة – اليونيسف، فيديو توعوي مدّته 40 ثانية يهدف إلى تسليط الضوء على قدرات هؤلاء الأشخاص وعلى ضرورة إلغاء كافّة أشكال التمييز ضدّهم، من خلال تمكينهم وتزويدهم بالمهارات اللازمة. يُعرض هذا الفيديو على عدد من الشاشات اللبنانية كما على مواقع التواصل الإجتماعي. 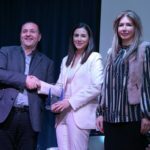 لا يقتصر اهتمام مؤسسة رينه معوض بالأشخاص ذوي الاحتياجات على الاحتفال باليوم العالمي المخصص لهم إذ كان للمؤسسة مشاريع ونشاطات عدّة في هذا المجال. ففي اليوم العالمي للطفل، الذي يصادف في 19 تشرين الثاني، قدّم أشخاص من ذوي الاحتياجات الخاصة عرضًا مسرحيّا في “الليسه سان-بيار” في أميون و”نورث كولدج” في زغرتا بعد أن تلقّوا تدريبات مهنية في جمعية واحة الفرح. 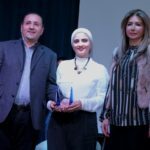 قاموا بتأدية لوحات ثلاث تخللها رقصات تعبيرية وسكيتش مستلهم من أعمال ريمي بندلي أمام جمهور من تلامذة المدارس الذين تتراوح أعمارهم بين 10 و12 سنة . 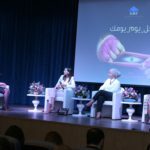 أمّا في تشرين الأول من العام الجاري، فأطلقت مؤسسة رينه معوض أوّل مساحة مخصصة للمعوّقين في موقف السيارات التابع لسراي طرابلس، وهي مساحة من أصل 14 موزعة على مدينتَي طرابلس والميناء. كما أطلقت حملة توعية حول ضرورة الالتزام بهذا الحق الأساسي للمعوّقين. 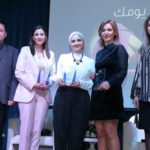 بالتزامن مع إطلاق هذه المبادرة، قام شبان وشابات بتوزيع مناشير على المارّة تتضمّن شرحًا حول حقوق المعوّقين، مرتدين قبّعات وقمصان كتب عليها اسم المجموعة “حقنا ما تصف”. 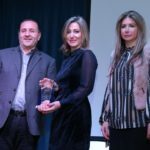 من جهتها، قامت البلدية بالإعلان عن غرامة ماليّة مقدارها 200 ألف ليرة تُفرض على السائقين الذين يركنون مركباتهم في المكان المخصص للمعوّقين. 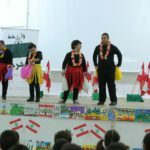 والجدير بالذكر أن هذه المبادرات المجتمعية تندرج في إطار مشروع “دعم الشباب من خلال التعليم، بناء القدرات والتوظيف في الشمال” الذي يهدف إلى دعم الشباب الذين يعانون من ظروف اجتماعية واقتصادية هشّة في شمال لبنان. ويبلغ عدد المستفيدين المباشرين من المشروع 500 شاب وشابة تتراوح أعمارهم بين 15 و25 سنة. يشمل المشروع أنشطة عدة منها: دعم لغوي وحسابي، تدريب مهني، مهارات حياتية، وغيرها، بالإضافة إلى مبادرات يقودها الشباب من أجل تعزيز المشاركة والتوعية المجتمعية. 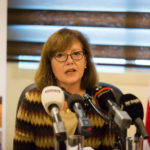 يساهم المشروع في انخراط الشبان والشابات اللبنانيين وغير اللبنانيين في مجال التدريب التقني والمهني وبرامج بناء المهارات الابتكارية. الأمر الذي يؤدي إلى تحسين الانخراط المهني ويعزز أفضلية الحصول على فرص عمل. بالإضافة إلى أنه يساهم في تمكين الشباب اللبناني وغير اللبناني عبر توفير نمط عيش سليم لهم. 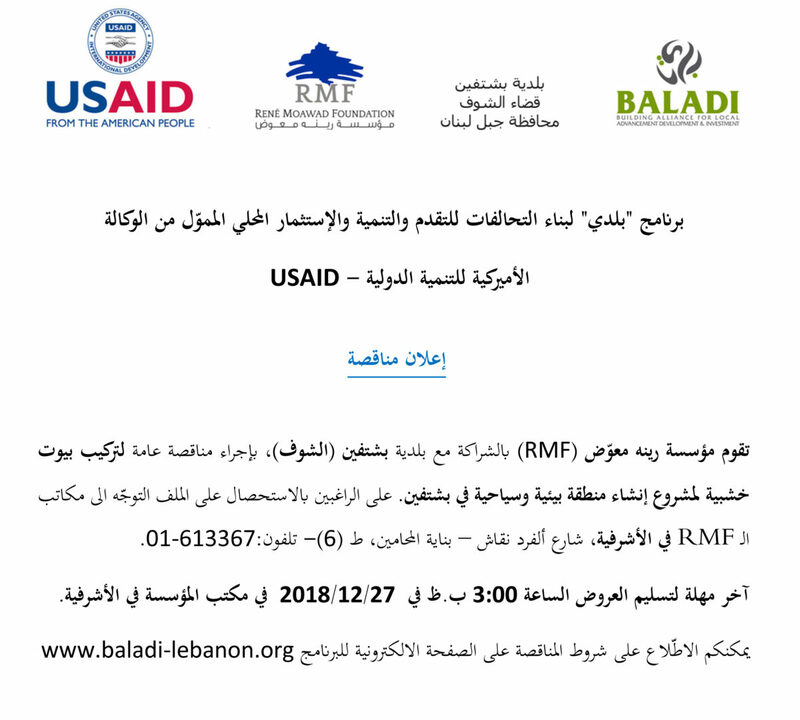 As part of the Baladi Program, RMF and the municipality of Bshatfine (Chouf district) are calling for an invitation to bid to install wooden houses at the environmental and tourist area in Bashtifine established within the support of USAID-Baladi. 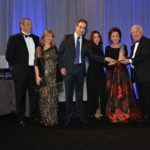 The Rene Moawad Foundation – USA (RMF-USA) held its annual Gala dinner, celebrating its 25th anniversary, on Saturday November the 3rd at the Ritz Carlton in Washington DC. 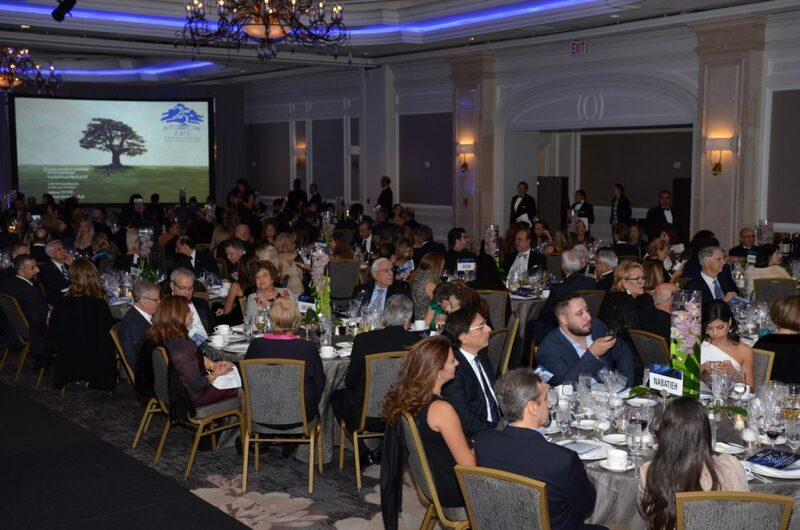 The proceeds of this Gala dinner go to the support of RMF’s numerous projects and activities in Lebanon especially its health care and educational programs. 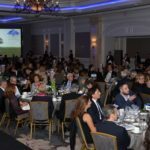 A large and enthusiastic crowd of around 400 people from the Lebanese American community, Arab Americans and many American friends of Lebanon, was present at the event. 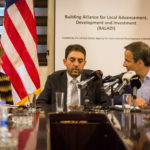 The ambassador from Lebanon to the USA, Gabriel Issa, the State department representative, the Under Secretary of State for Political Affairs, David Hale, and the ASHA (American schools and hospitals abroad) office director at USAID, Anne Dix, along with many other prominent figures were among the attendees. The crowd applauded the honoring of RMF’s founder H.E. 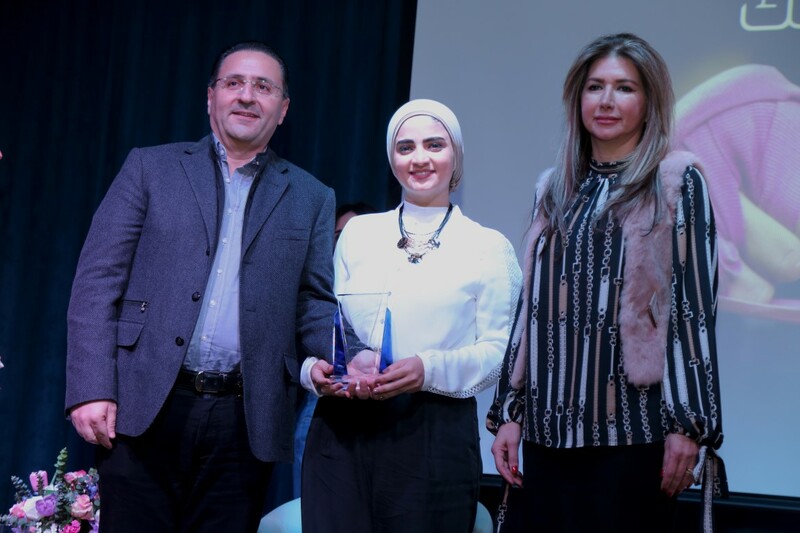 Nayla Moawad who received the Visionary Leadership Award for her commitment, vision, and tenacity in bringing development and progress to rural areas of Lebanon. 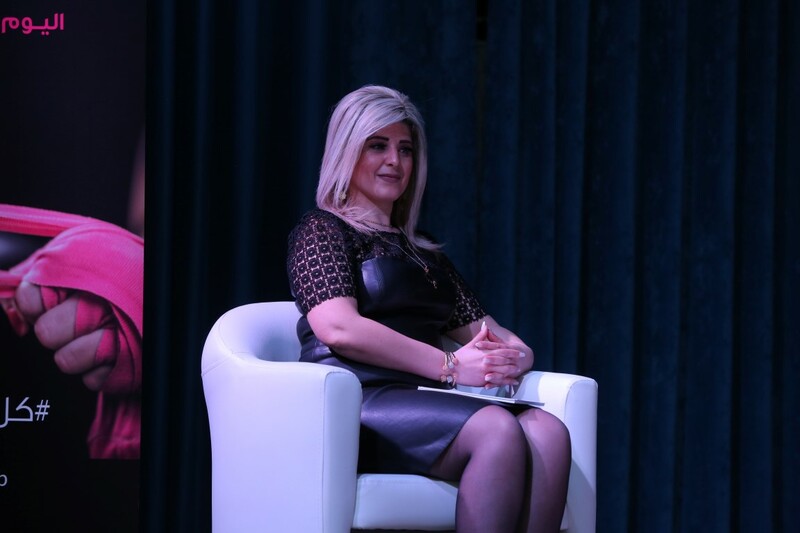 A video showing Mrs. Moawad’s path and achievements left the audience speechless. “I didn’t want my husband René’s mission to be buried along with his body”, said Mrs. Moawad in one of her old videos. 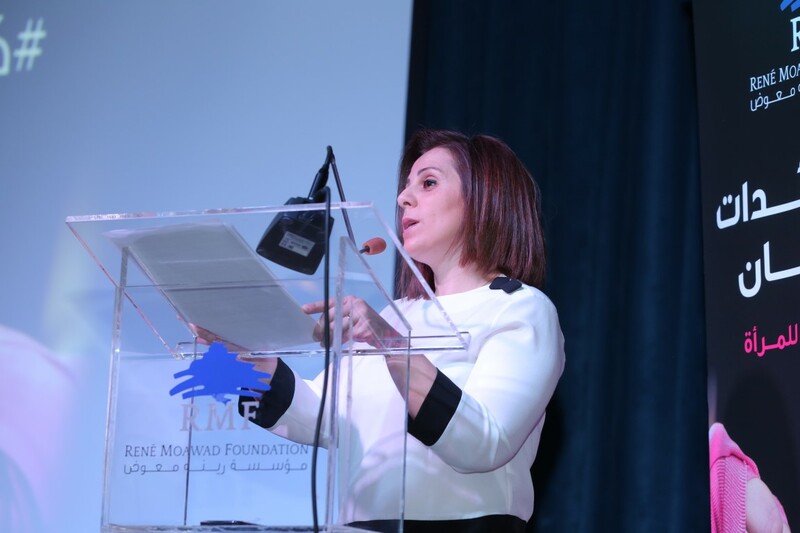 She was then introduced by her son, RMF’s executive director MP Michel Moawad. 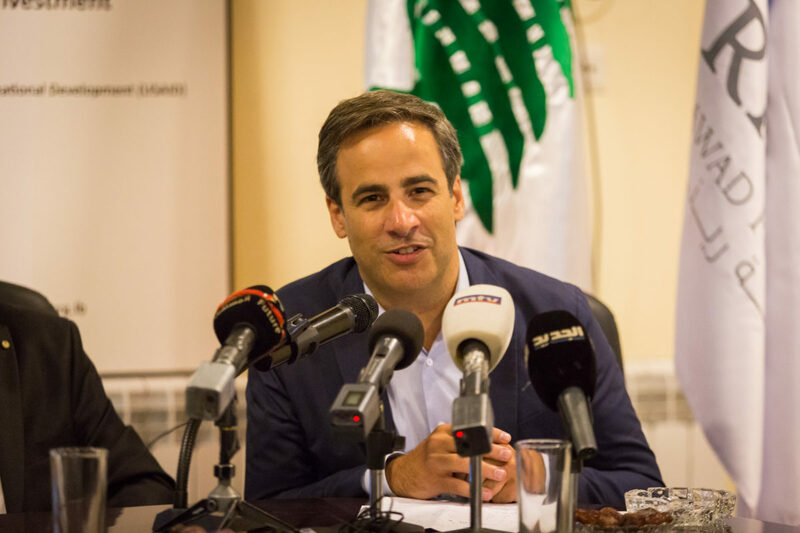 “For our 25th anniversary, this year’s RMF Visionary leadership award will be a very special one”, said M. Moawad. 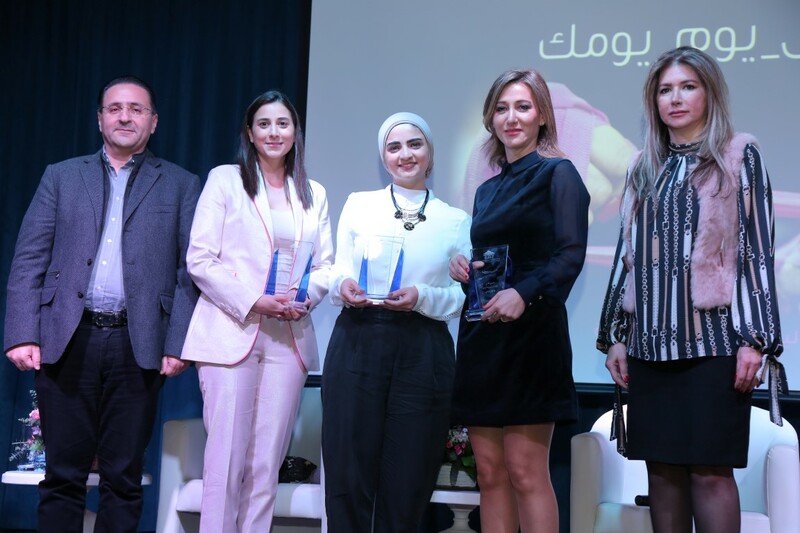 “Indeed, this year’s award is all about breaking barriers. The woman we are honoring tonight is a living proof that with courage sacrifice commitment and determination, everything is possible. Everything she did and everything she achieved is a proof that you are confined only by the walls you build yourself”, he continued. “Last but not least, she is the reason why we are all gathered here tonight. She was a woman of vision when she founded the RMF in 1991, and in the USA in 1993. 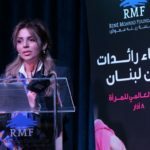 She transformed the René Moawad’s legacy into an institution that broke the barriers of religious and regional and political belonging, in order to serve the human being in Lebanon, wherever he is and whatever he believes in, so that our fellow Lebanese can live on their land, free, while we assure their basic rights and dignity, he added. 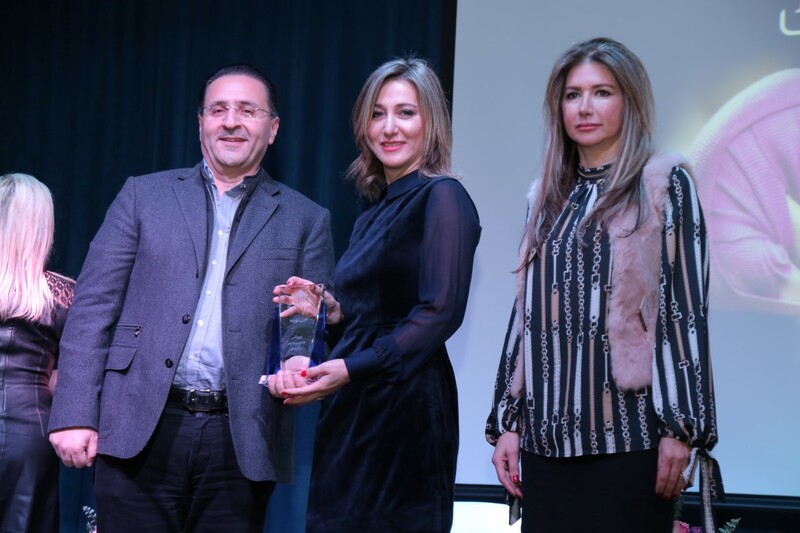 Mrs. Moawad thanked the René Moawad Foundation USA for the surprise award. 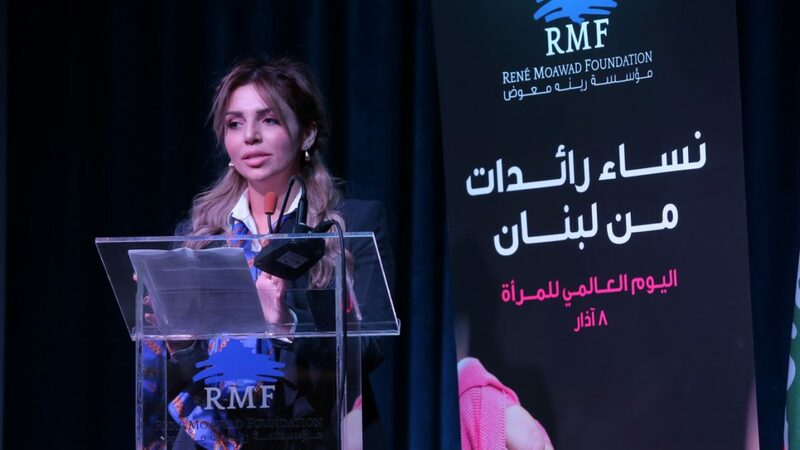 Nayla Moawad then thanked the RMF-USA team for the marvelous surprise and started her speech by saying: ‘’When there’s a will there’s a way, and I believe there will be always be a way to save Lebanon”. 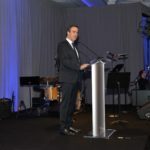 She continued: ‘’I would also like to thank our friend, Under Secretary of State for Political Affairs, his Excellency David Hale, we are very pleased to have you with us tonight along with our Lebanese Ambassador to the US, his Excellency Gabriel Issa”. 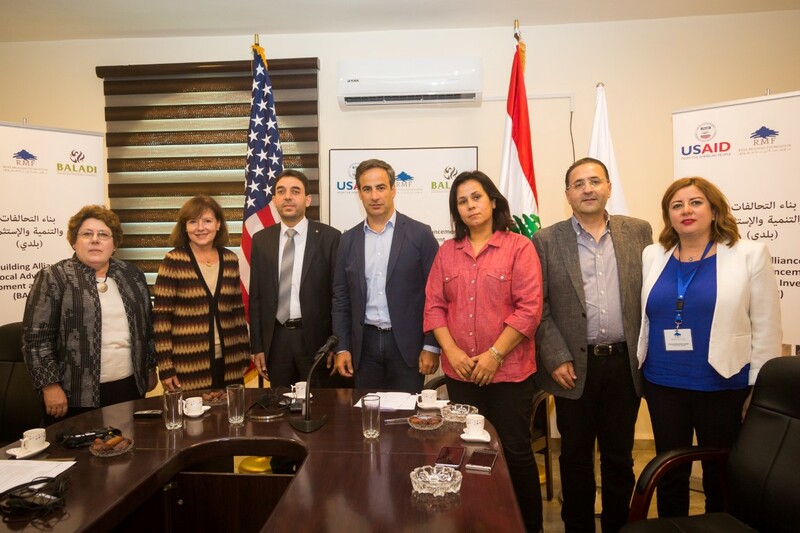 Nayla Moawad ended her speech thanking the American people for their endless support to Lebanon through USAID. 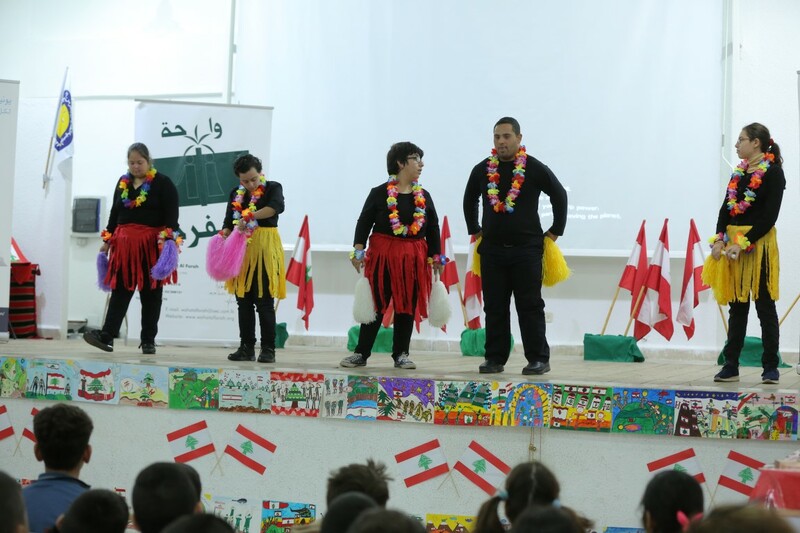 We were able to implement together more than 62 projects all over Lebanon and working on 22 more projects for this year, under the USAID funded project Baladi. We have done an amazing work in the rural areas and aiming for more. 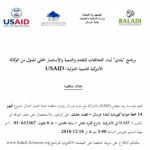 Thank you USAID. 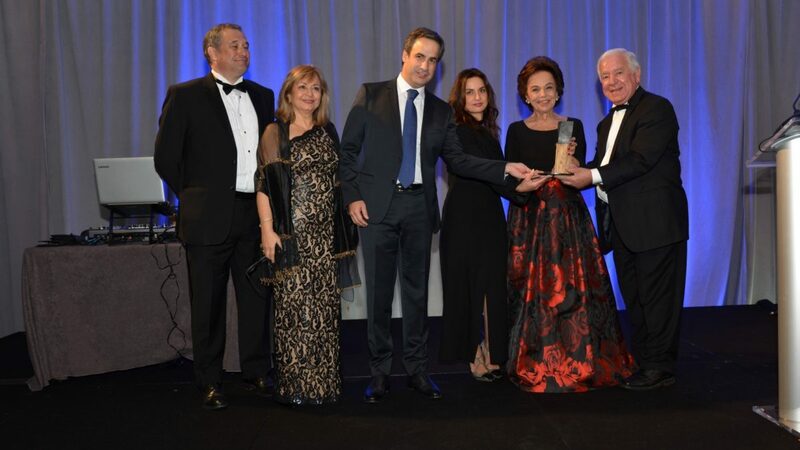 The trophy offered to Nayla Moawad is the work of the talented Lebanese artist Karim Chaaya. 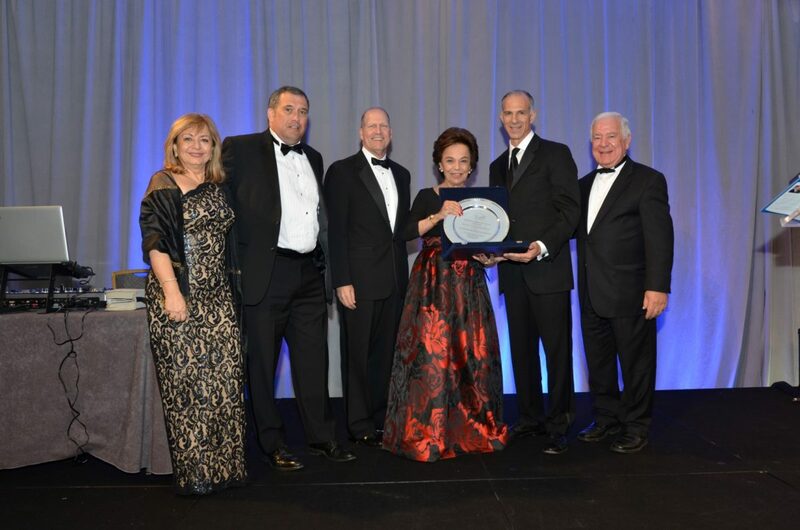 The Gala highlighted the accomplishments of the RMF for the past quarter century. 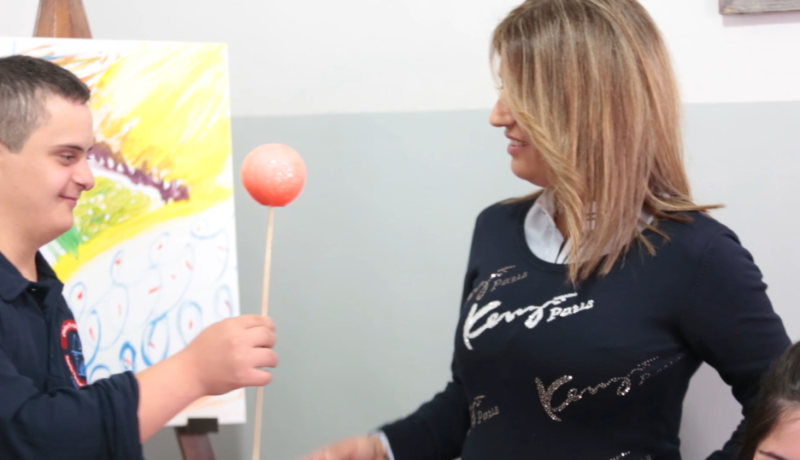 Another video showed how deeply rooted the work of the RMF is across all sectors in Lebanon. 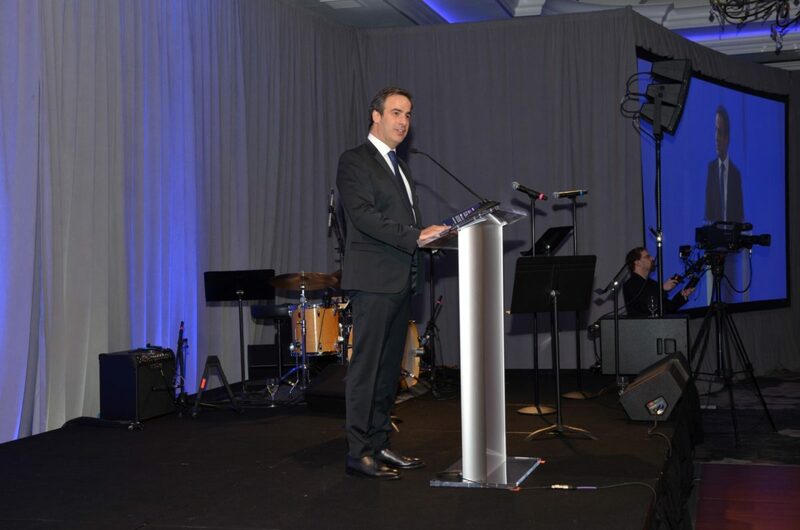 The night continued as the master of ceremony Mr. Brian Karam, a Lebanese American journalist, Whitehouse correspondent, CNN contributor and investigative reporter, introduced the honoring of two prominent Lebanese Americans figures, whom Lebanon is very proud of, for their distinguished community service and life time achievement. 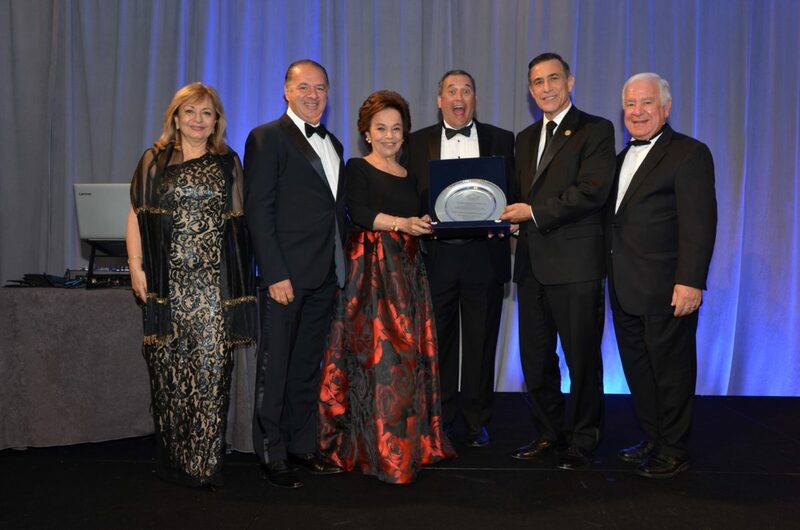 The whole audience applauded RMF’s decision to honor former Congressman Darel Issa, a Republican U.S. Representative for California’s 49th congressional district, serving in Congress from 2001 to 2017 and recently nominated by the President to be the Director of the United States Trade and Development Agency. 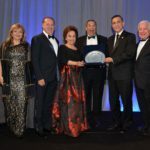 Mr. Charif Souki, a successful Lebanese American business man and energy entrepreneur whose company was the first to be licensed to export natural gas from the US, introduced the honoree. 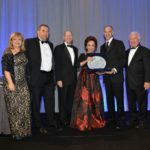 The second honoree was Mr. Richard Ashoo, Deputy Assistant Secretary for Export Administration for the Department of Commerce. Former senator John E Sononu, from the state of New Hampshire, introduced the honoree. 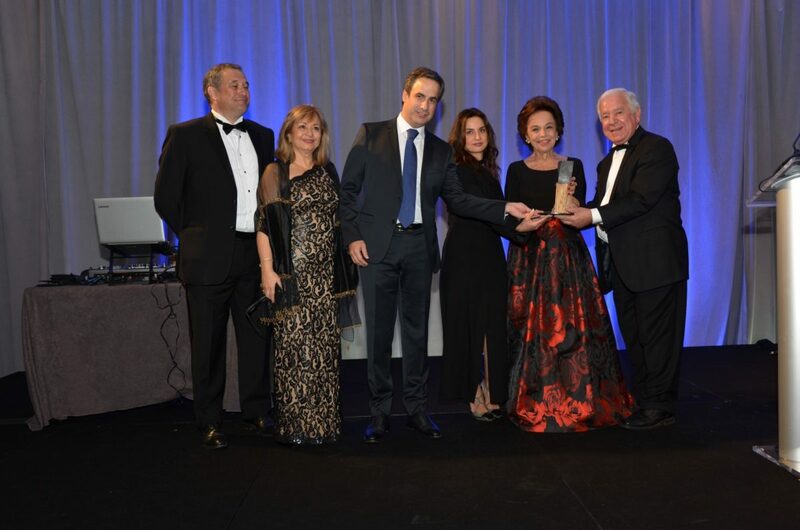 The evening allowed many guests to discover the wonderful and renowned Lebanese singer and actress, Manal Mallat. 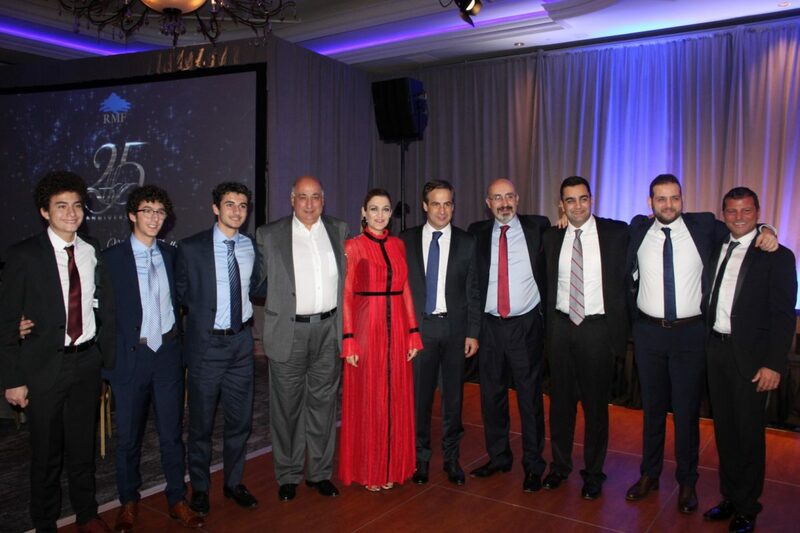 The benefit dinner also featured a fashion show by the talented young Lebanese designer, Hassan Idris. 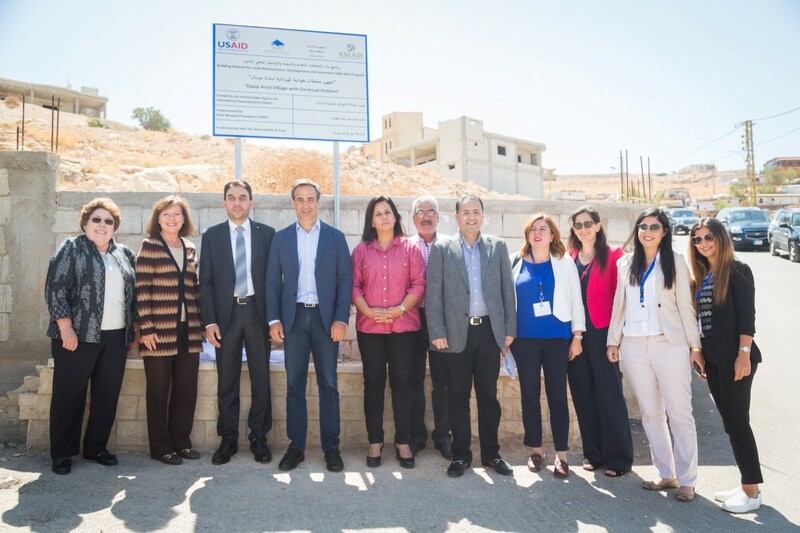 Beirut September 10, 2018 –Rene Moawad Foundation celebrated the completion of a project to improve electricity production in the Arsal municipality. 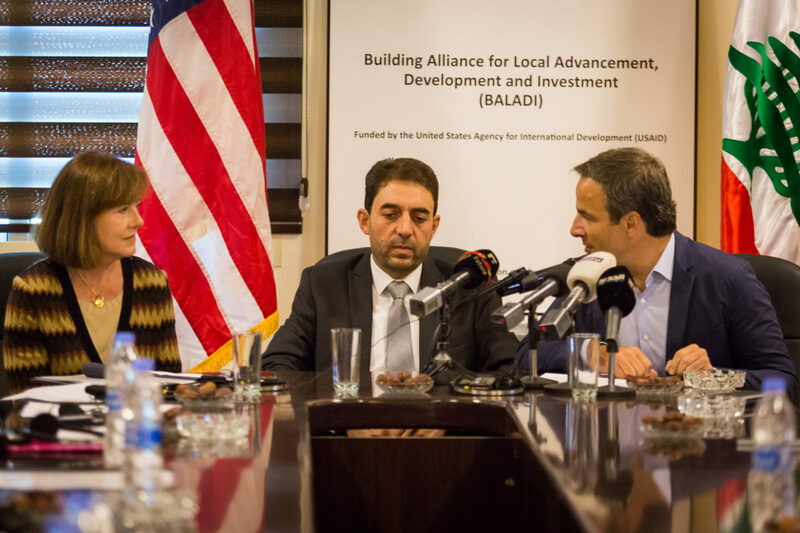 This project was supported by the United States Agency for International Development (USAID) under the Building Alliance for Local Advancement, Development, and Investment (BALADI) Project. 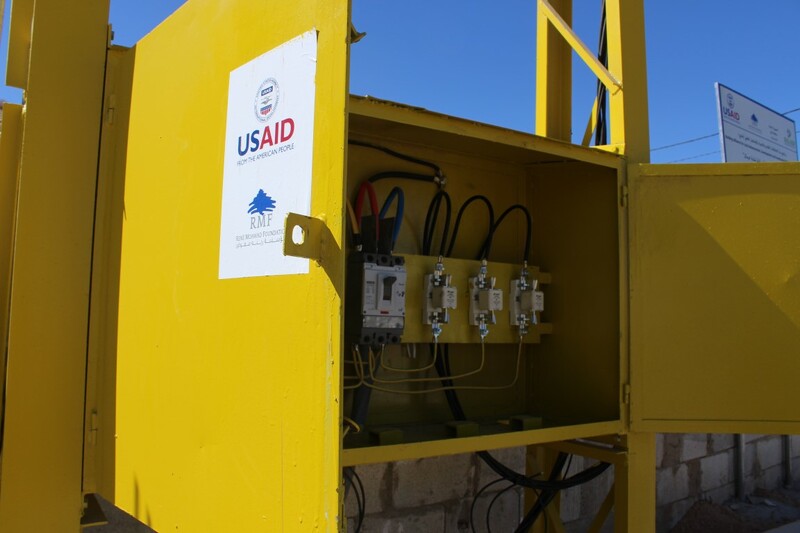 USAID, through the BALADI Project implemented by René Moawad Foundation (RMF), provided $100,000 worth of assistance for five new 250 KVA electrical transmission stations covering 40 streets in Arsal. 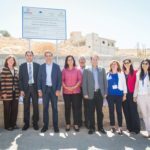 This assistance is in close cooperation with the municipality of Arsal, which is contributing $20,000 for needed civil works and community awareness sessions on saving energy. The ceremony marking the completion of the project was held at Arsal municipality (Baalbeck-Hermel district) in the presence of USAID Mission Director Dr. Anne Patterson, RMF Executive Director Michel Moawad, the Mayor of Arsal Bassel Al Houjairy, Arsal municipal council members, and other representatives of the Arsal community. 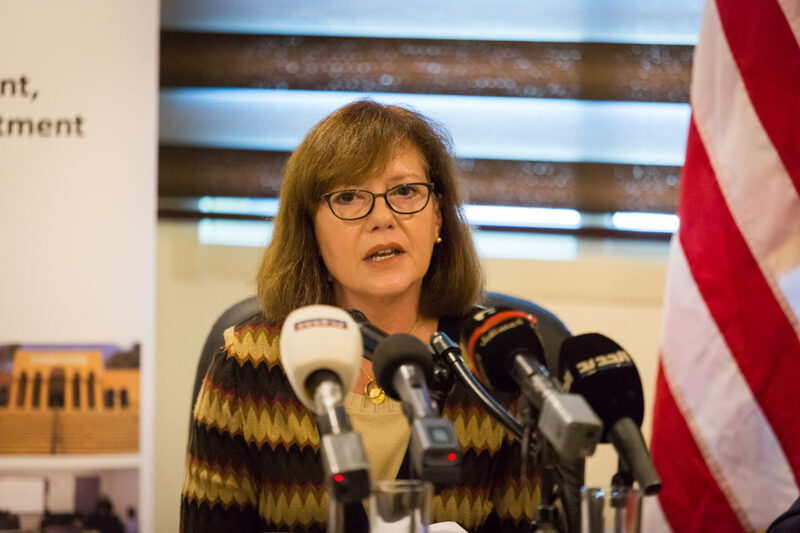 In her remarks, Ambassador Richard emphasized, “The U.S. Government is committed to the people of Arsal as you progress in revitalizing and developing your town.” Ambassador Richard announced additional USAID assistance to Arsal comprising up to seven new local development activities. 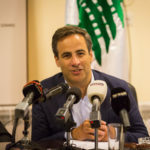 For more than six years, the residents of Arsal have suffered from insufficient voltage and a lack of electrical grid connections. 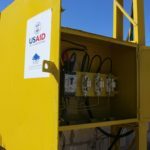 The new electricity transmission stations now serve 16,000 Lebanese and more than 10,000 Syrian refugees in 2,300 homes, 480 businesses, and 6 schools.